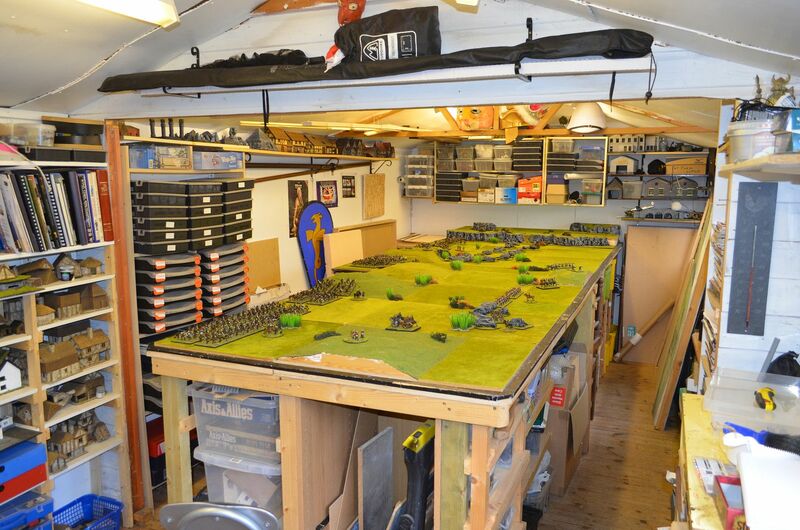 Monday night saw the shed feature the first game using my Zulu Wars figures that I had painted over the last three months. 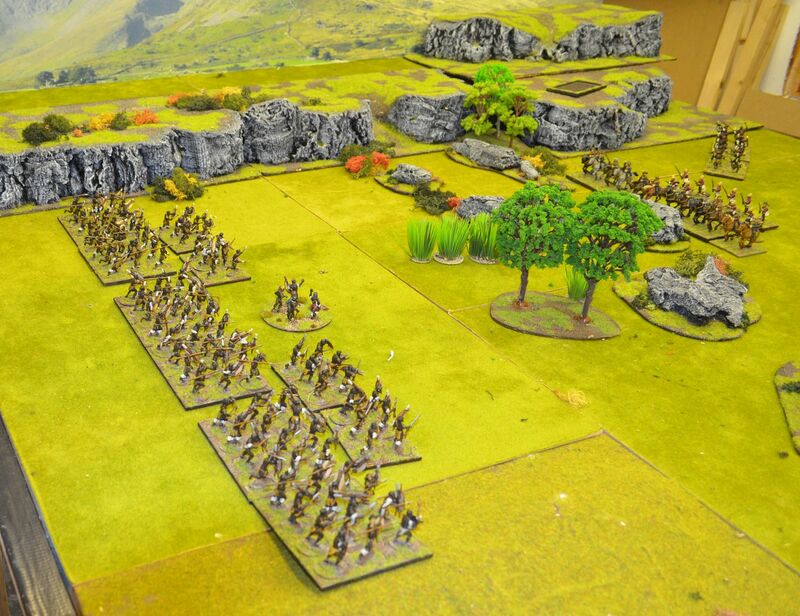 Mark & I would take on the Zulus with Alastair & Charlie leading the British Allied forces. We'd be joined later in the evening by John who would control the loins of the Zulus. Starting a new period is always fun but to keep things simple I elected to use Black Powder rules which everybody is familiar with. 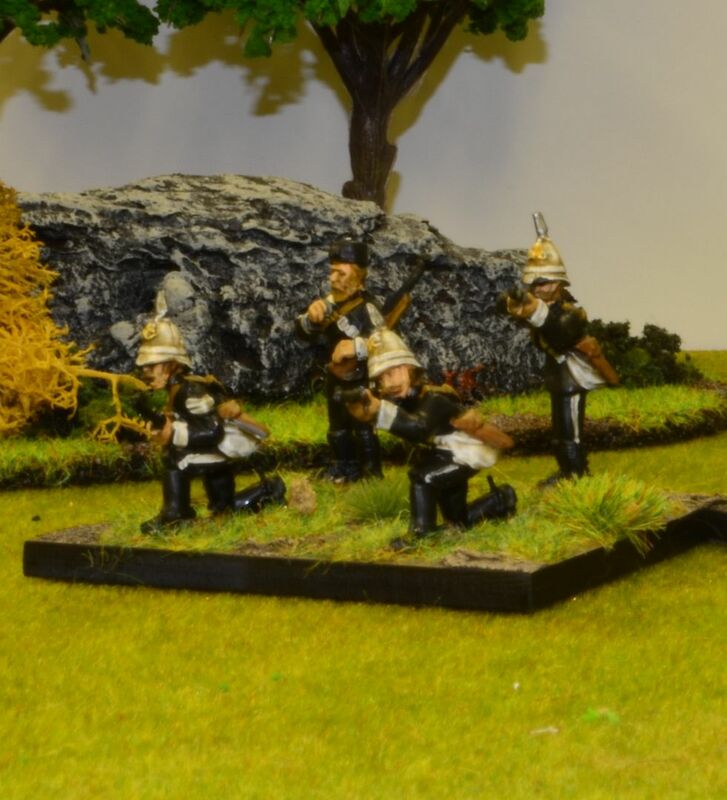 The BP Zulu supplement suggested a couple of rule amendments - these being all the units get at least one move and the British closing fire can be used for every move the Zulus make towards the enemy in a charge. 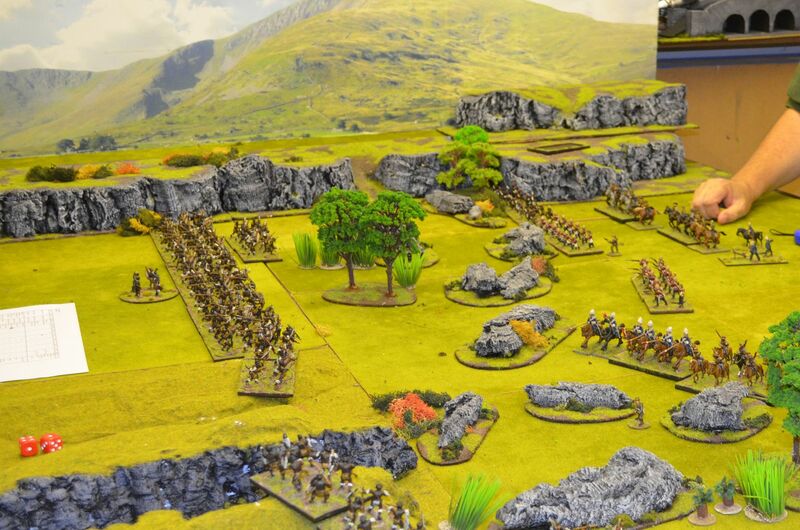 Finally I reduced all the ranges and movements by 50% - the concept that infantry could treavel 3 foot in one very successful order just seemed so wrong. 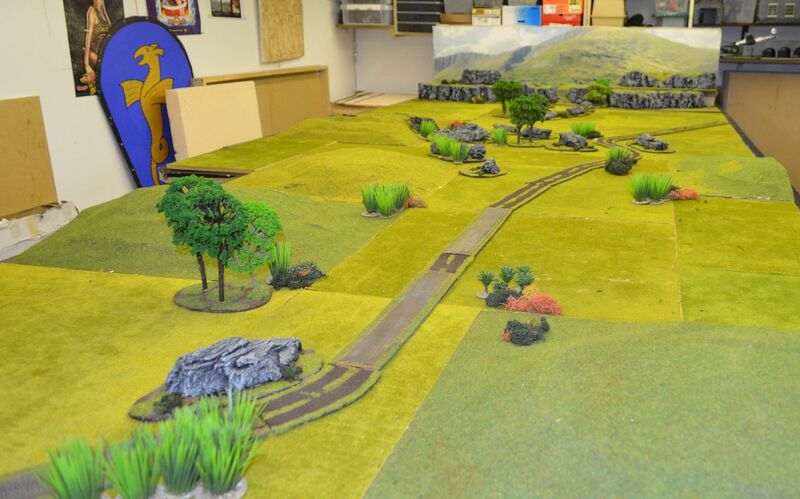 From a battlefield perspective I did my best to create the South African Veldt - perhaps not as dusty as I might like but I think it worked. Looks a bit like Africa?? 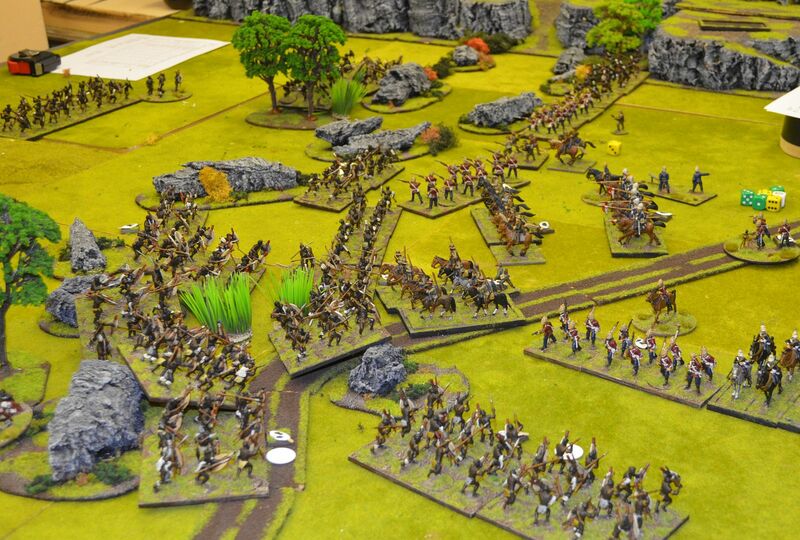 The British will enter the table from the top right. They must march, ride, or run to the bottom left. 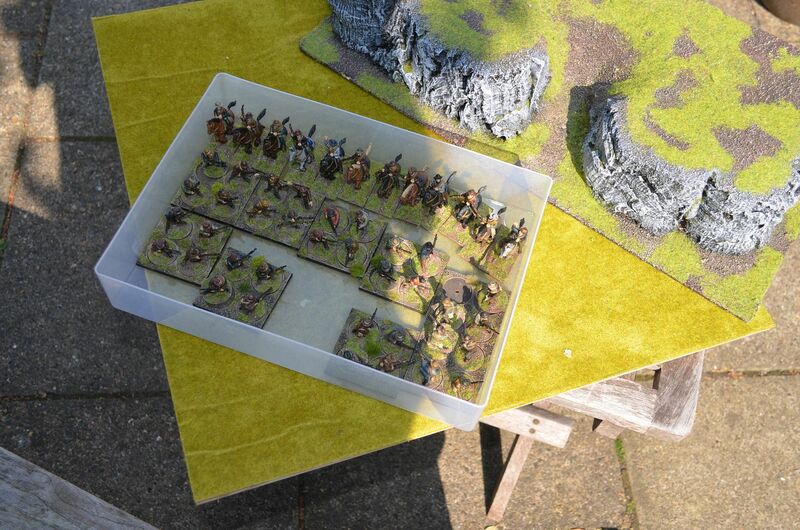 For every unit safely off the table they receive 1 point, for every unit not reaching the exit point they lose 1 point. 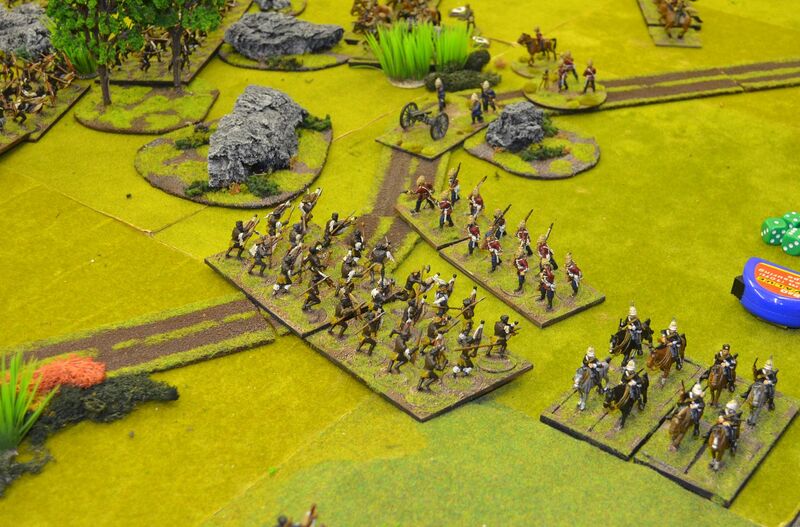 The British had 11 units so this could not be a draw. 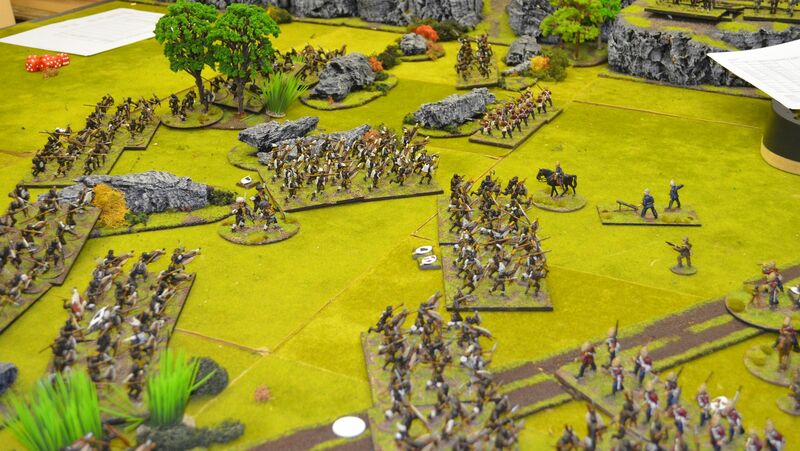 In the first turn the Brits marched onto the board in the top right and quickly fanned out off the road to search for the menace ahead. They had no idea of what faced them. 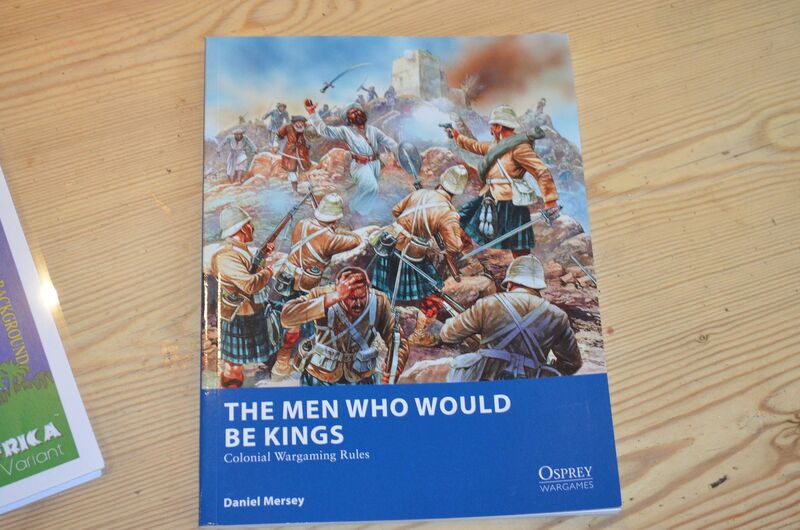 Meanwhilst the right horn emerged from the bottom of the table and poured forwards towards the Colonial invaders. Even though only the two had appeared several comments from the players suggested how frightening this must have been in real life. 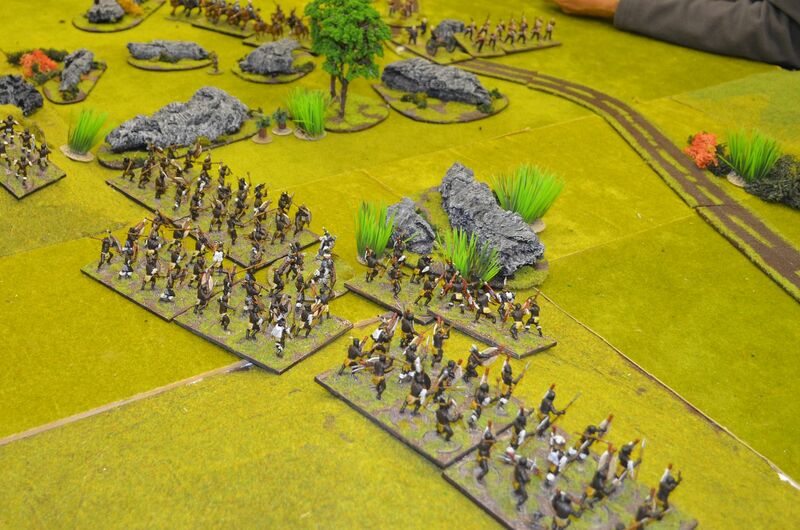 Finally the head of the Buffalo formation appeared - a further three impis charging towards the guns. The British at this point elected to stand and fight, trusting that there breechloading rifles would keep the enemy at bay. 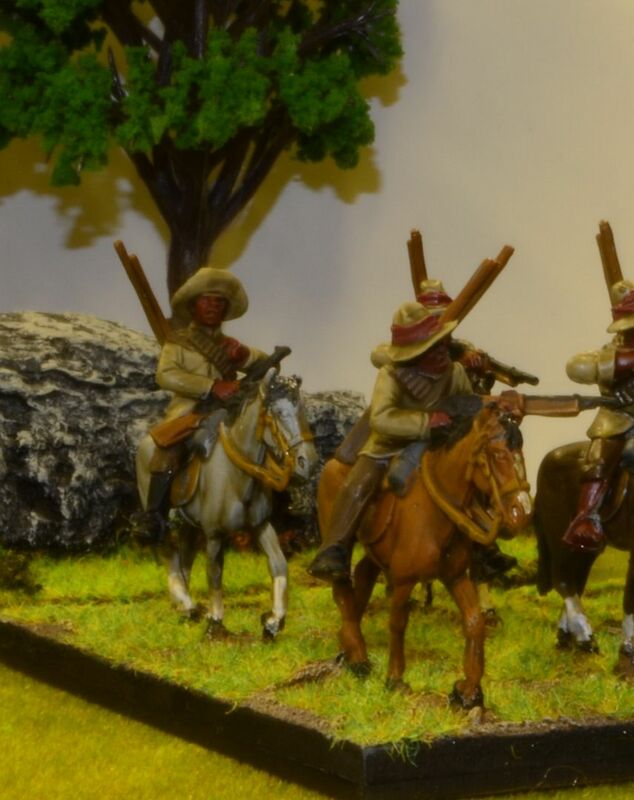 The Natal police opened fire on the Zulu Right horn with little effect, they kept coming on. 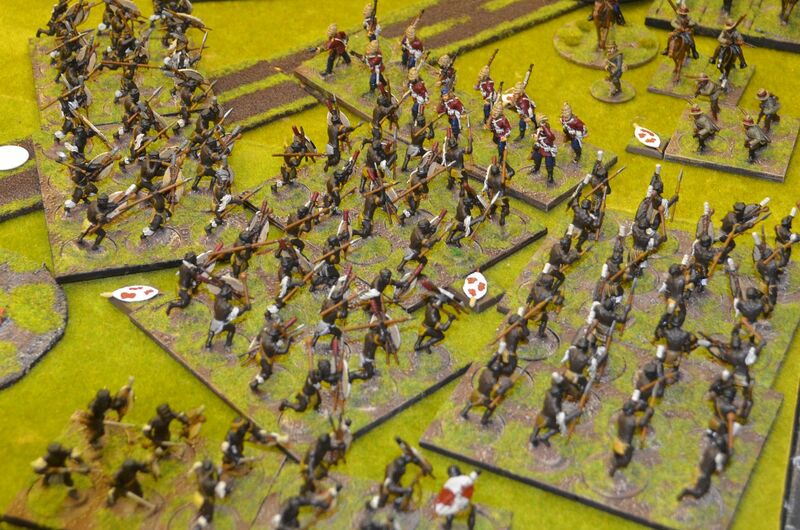 The Left Horn was coming under withering fore across the Donga - the Brits were holding them back. Eventually the Zulus reached charge range...Usuthu !!! With men of Harlech ringing in our ears the company of redcoats opened fore at 200, 100 and 10 pace range...blowing the impi away. 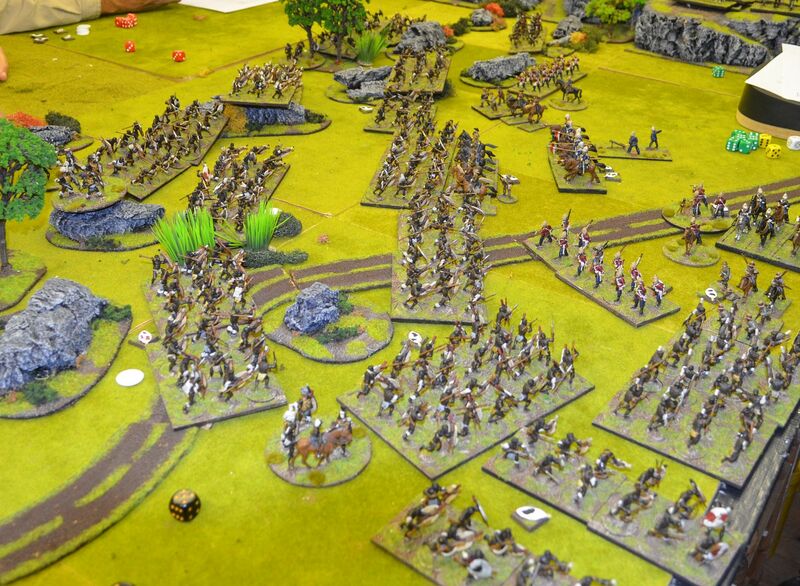 Meanwhilst the rocket battery was having a field day, pinning large numbers of Zulus with its automatic disorder hits. 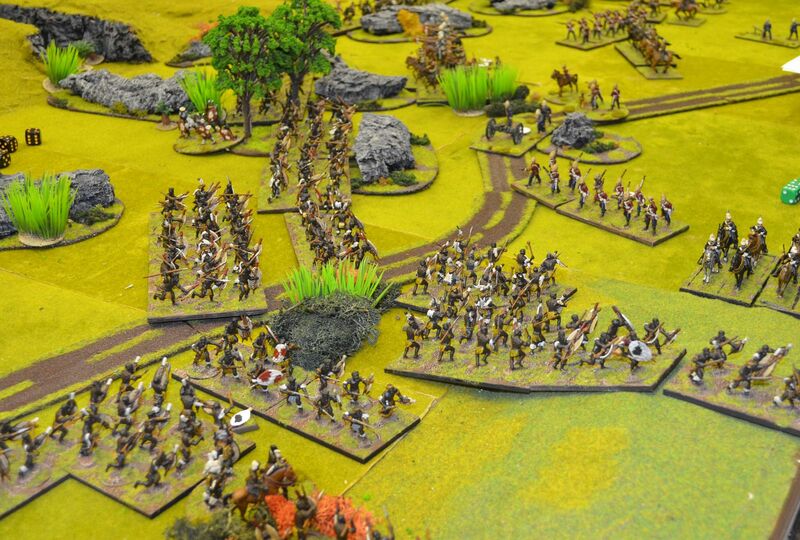 With the advancing Zulus so tightly packed errant rockets were finding targets. and began to assail the British lines...the British fearing a breakthrough threw the Sikhali horse into the lines to plug the gaps..
Great fun all round - looked visually fantastic and was quite a tight affair. 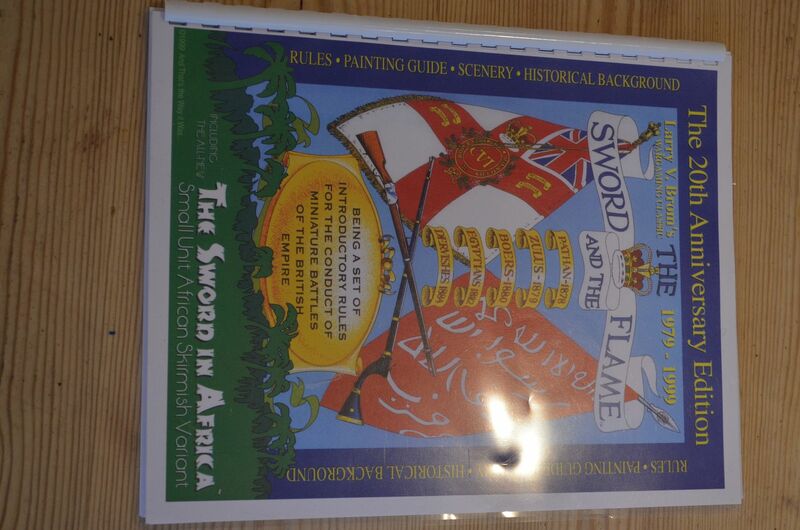 Quite a big post this time round as I have virtually finished all the core units for my Anglo Zulu Wars. There are still a few bits I need to finish off but effectively the both forces are now complete and the games can begin. 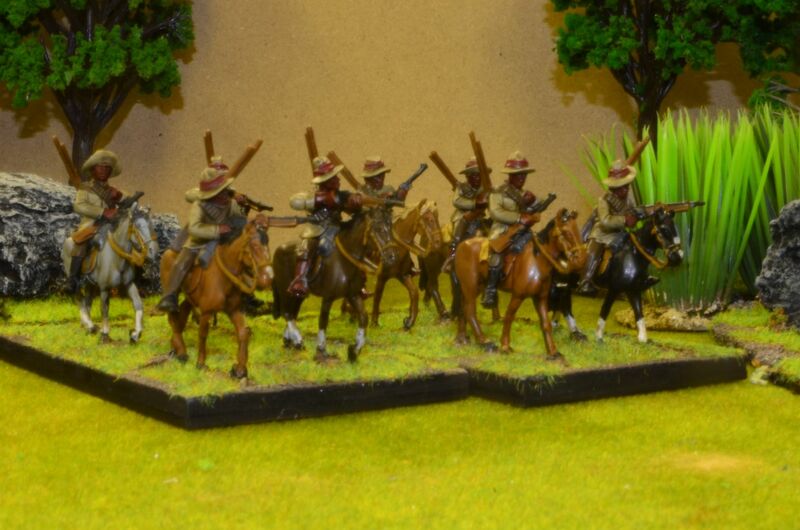 First up we have the Natal Mounted Police sourced from Empress - 8 riders and 8 infantrymen. 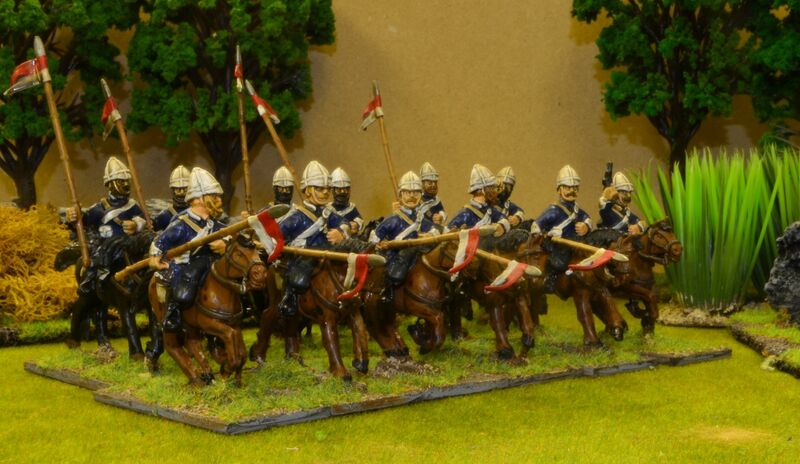 Finally the Brits get bolstered with some regular cavalry - the Lancers. 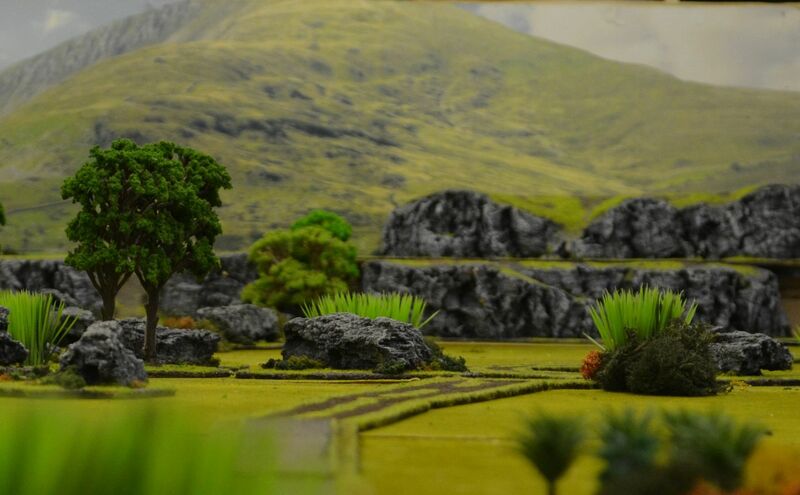 These have been sourced from AW Miniatures. Finally I picked up the Heliograph team from Black Tree and it makes a nice little unit. The first is the Sword and the Flame. 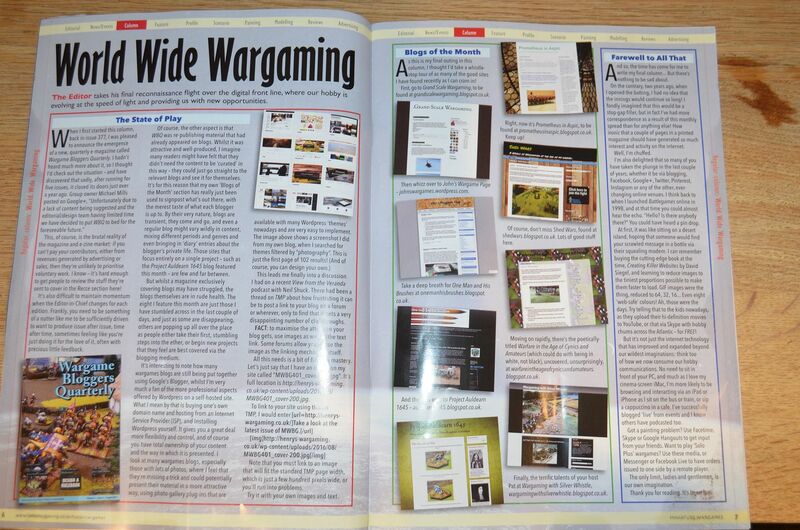 These have a big folowing amongst colonioal gamers so loking forward to playtesting these in the coming weeks. 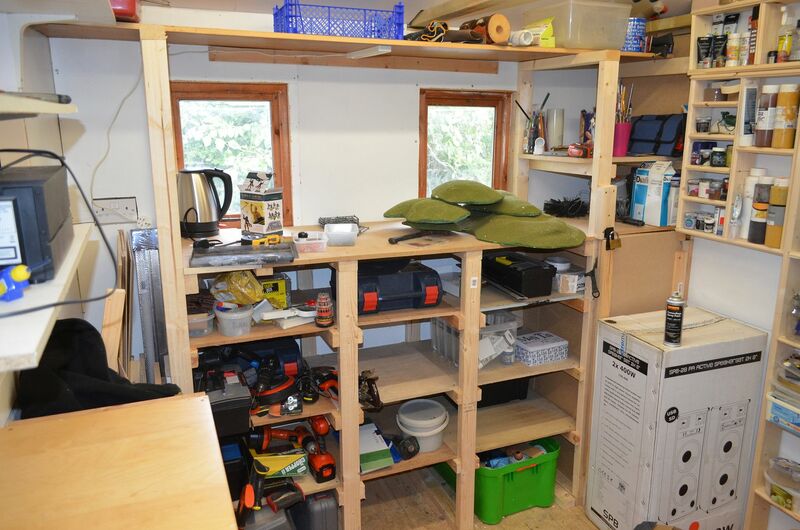 I finally managed to get into the shed this weekend to finish of the workbench and generally sort things out. 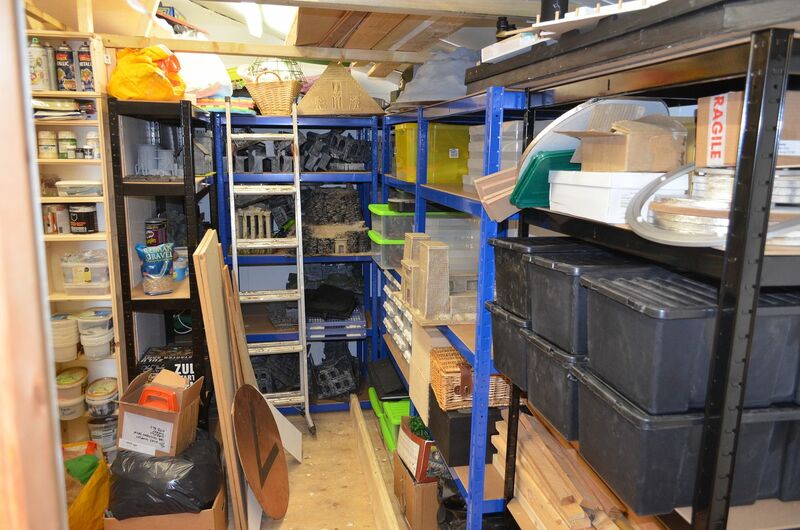 This has been a real labour of love and a big thank you to all those involved. 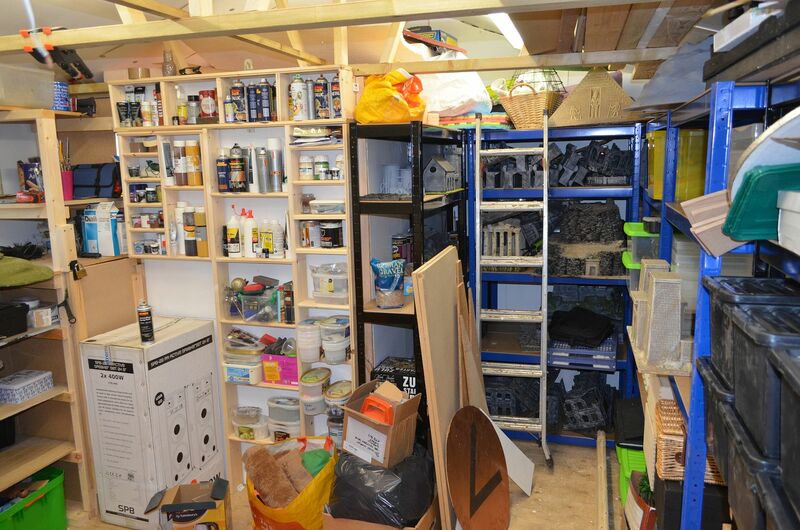 I then built some narrow shelves to hold all the various paints, and odds end ends. 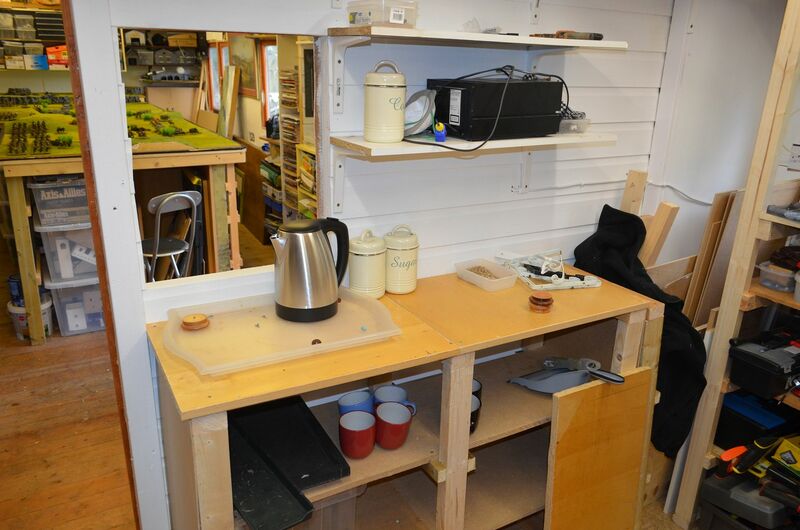 Of course the new shed need a coffee station (including a serving hatch where the old window used to be ! 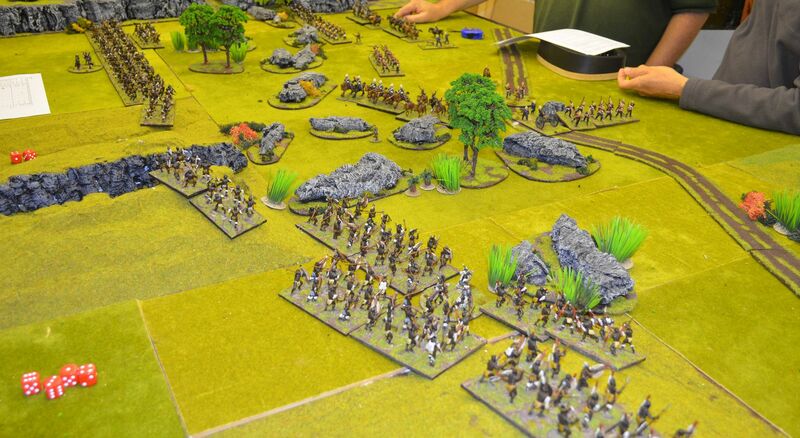 Below is a picture of the table (Set up for a Zulu game). 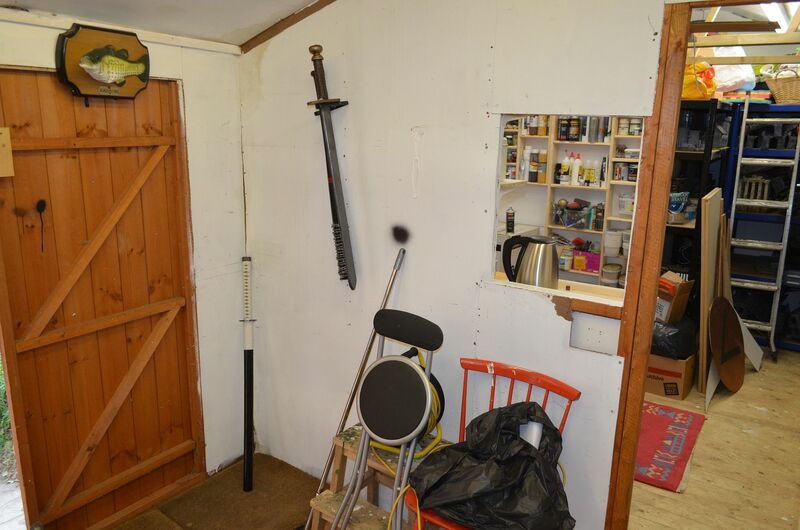 Eventually there will be an extension adding another 5foot to the table. I do hope you have enjoyed following this build. 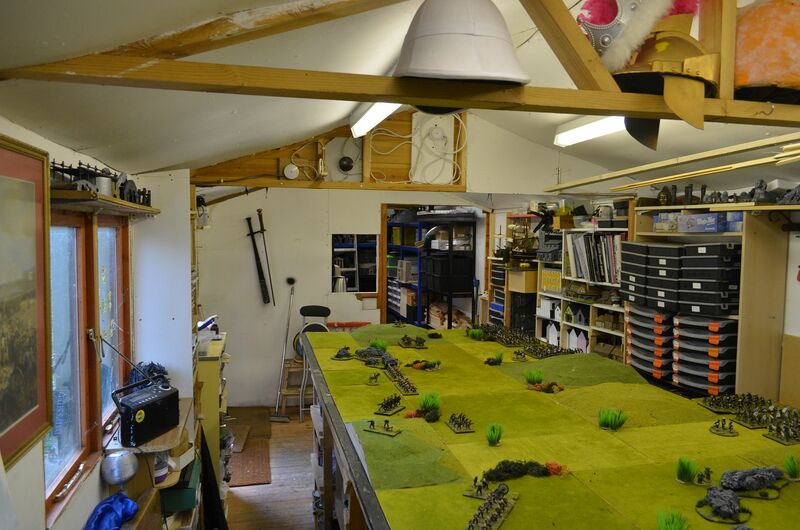 Over the weekend I visited Kingston to pick up a few bits and pieces and whilst visiting WH Smiths I came across Miniature Wargames with Battlegames. Having read that the editor Henry Hyde was leaving the magazine I thought I'd pick up a copy. 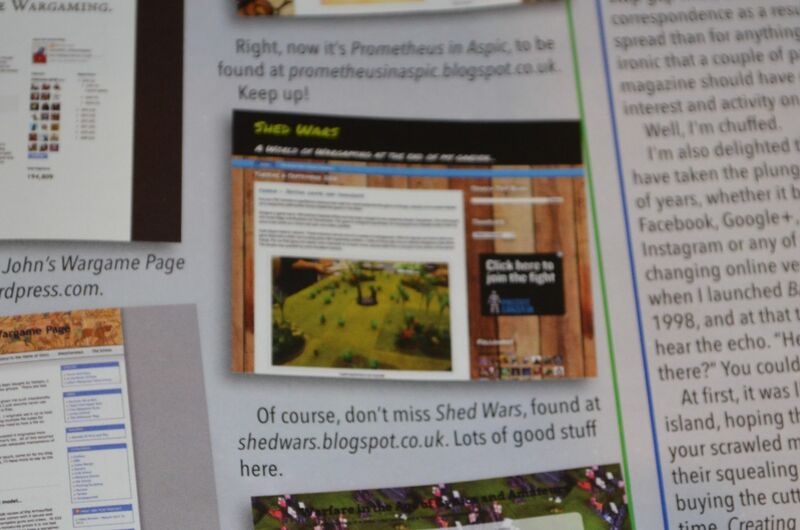 To my surprise there was Shed Wars featured in the magazine along with a number of other great blogs. A big thank you to Henry for promoting my blog and I for one am sorry to see you move on. 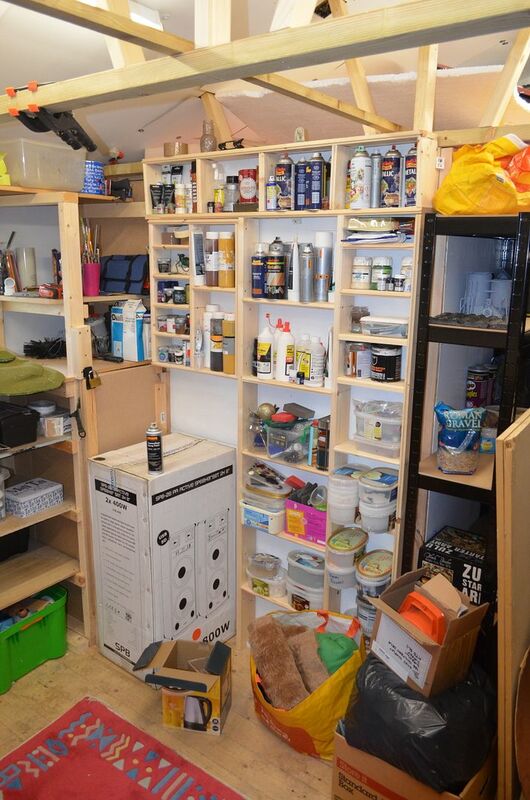 If you want to learn more about the reason why Henry is leaving head here for a a very interesting pod cast. 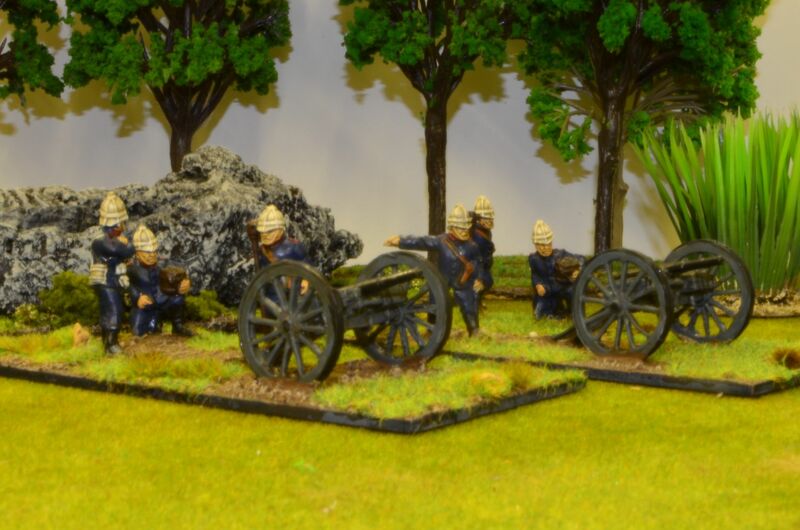 These are from the British Starter Box set produced by Warlord Games. Effectively they are the same as their Zulu range but with different heads. Mine have all been given red rags around their heads to denote their loyalty. Life can be cruel - there I was looking forward to heading down to Newbury last weekend for Colours when last Monday I awoke and found my heel of my foot swollen to twice its size. I didn't need anybody to tell me that I had been afflicted by the rich mans disease - gout. I have in the past suffered from two such attacks (both in my large toe joint) and I can confirm the pain is excruciating. Not too sure what brought this attack on but its probably a combination of anxiety, too much red meat and of course too much red wine. Both of the latter had been consumed quite happily on holiday. Mrs Shed is of course now governing my diet and I am on strict instructions not to imbibe for a whole month !! I made matters worse by struggling over to Ireland on business on the thursday - so much worse that I had to return home in a wheelchair. So Saturdays trip to the show had to be cancelled. 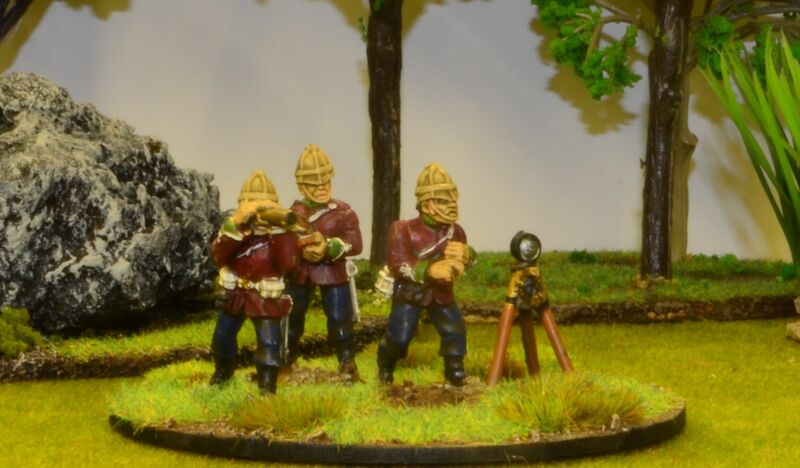 With mobility somewhat curtailed and under strict instructions from the Doctor to rest my foot I set about painting the next group of troops for the Anglo Zulu War campaign. 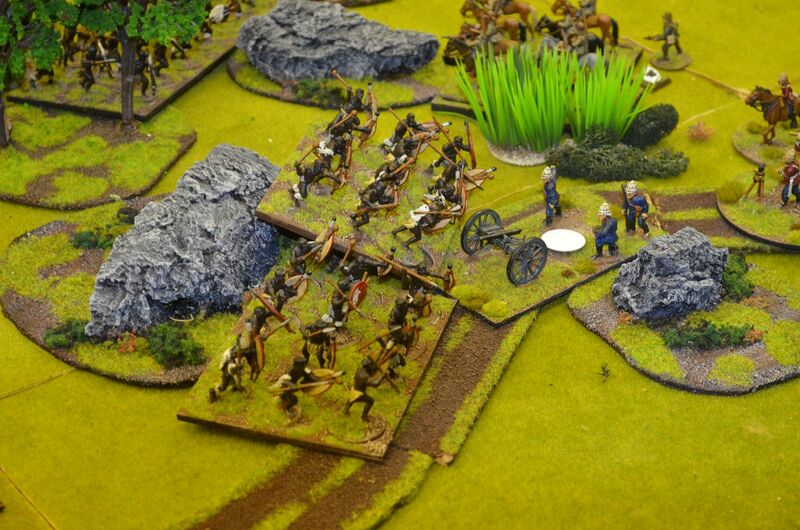 This time the focus is on the boers. These guys were ever present in the war and at apush can be used in any future congo setting. Indeed I could even rope them in for VBCW. 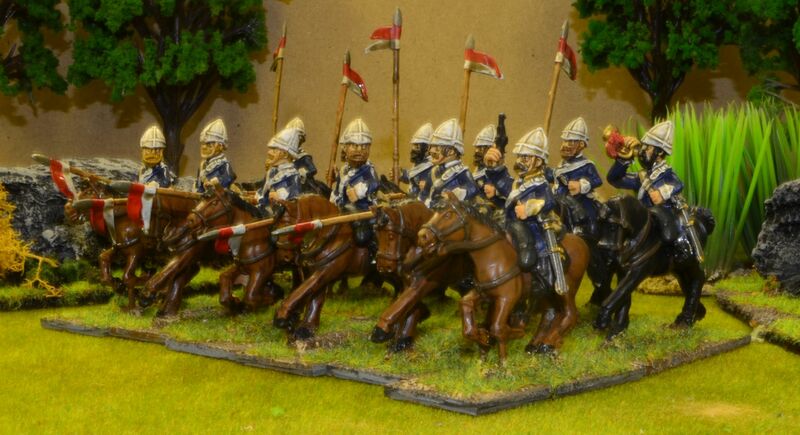 A couple of weeks back I took advantage of one of Black Trees sales (35% off - should have waited for the 50% off) and on friday a small box arrived containing 35 foot and 12 cavalry. The problem of painting irregular (ie not uniformed troops) is that they take twice as long - but a couple of good stints over the weekend soon saw the force come together. These are not the best scuplts in the world but they were cheap and do look the part. I reckon I have pretty much used every brown colour in my paintbox to turn these out and I am very pleased with the result. 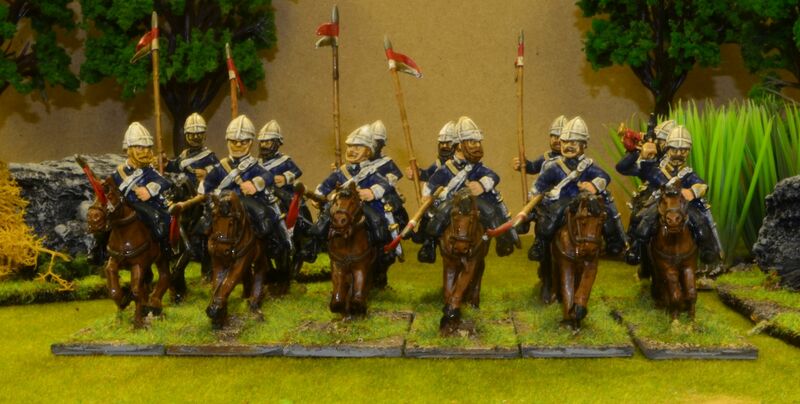 The cavalry horses were a bit too uniform for my liking (all very static) but I recalled I had some spare horses from my ECW prtoject purchased off ebay. 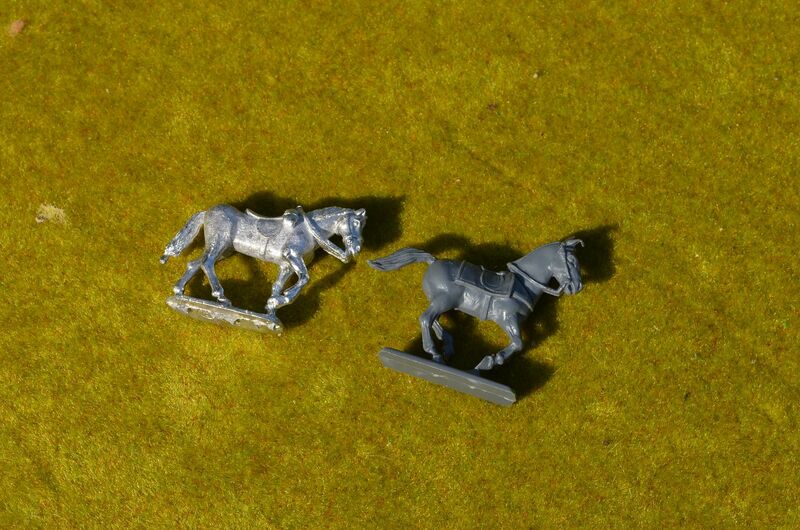 These nags are all moving and create a variety of poses for the fairly similar riders. I ignored the fact they had saddle cloths. The Black Tree horses will probably be used for unmounted nags being held by a horseholder of some kind.